rejuvenation treatment with minimal discomfort. advantage of improving skin tone and surface imperfections associated with aging and photodamage. décolleté with skin redness, telangiectasia (tiny veins) or brown spots. Light (low contrast) brown spots, which were previously difficult to resolve, respond very well to treatment. 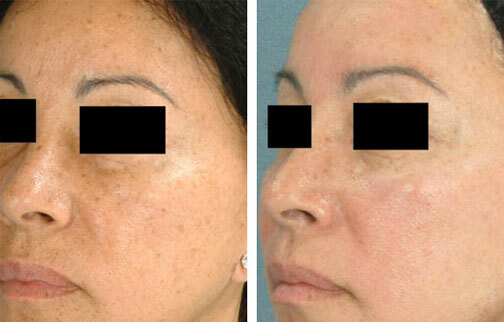 pigmented brown or red cells that causes the therapeutic effect.